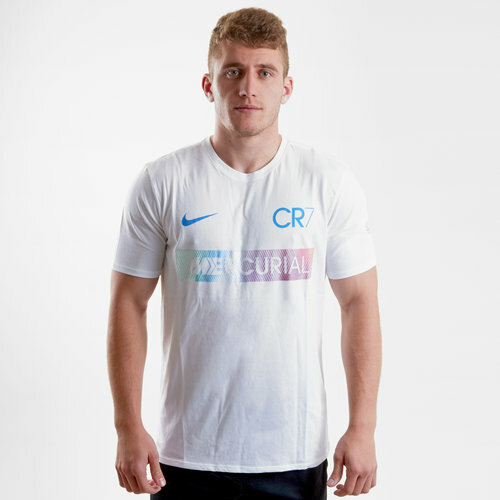 Stylish and unique, just like the way Ronaldo plays the beautiful game, train in style with the Nike Ronaldo CR7 Dry Fit S/S Football T-Shirt in White. Forming part of Nike's CR7 Chapter 5 range, this short sleeve training t-shirt comes in a black with a reflective Mercurial box logo graphic on the on the midriff just below the Nike and CR7 logos. Train with a performance worthy of the main man himself with the Nike CR7 Dry Squad S/S Football T-Shirt.